In today’s competitive market, most companies are willing to use online learning to train their employees. But they face a dilemma – do they opt for catalog courses or customized courses? Buying a ready-made course saves time and may even seem inexpensive, but is it the right option? 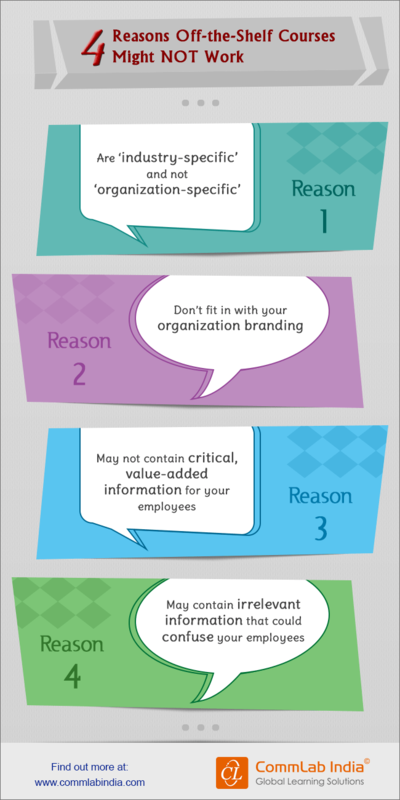 Check our infographic to know why off-the-shelf courses may not serve our organization-specific training needs.